Written in ‘Murray’s Handbook’ while the band in the Piazza San Marco was playing the Tarantella from Masanielio. See the Rialto, and Square of St. Mark! Venice delightful from daylight to dark! You’ll find his description is perfectly right! Flutter and peck ‘neath the bluest of skies. See as you stand on the grim Bridge of Sighs! The Doges and dodges and Brides of the Sea. If you don’t care about it, then listen to me! Dreary old London we quickly forget! Pictures by titian and old Tintoret! Are mixed in a muddle with palace and sight! He’ll throw on your darkness some excellent light! 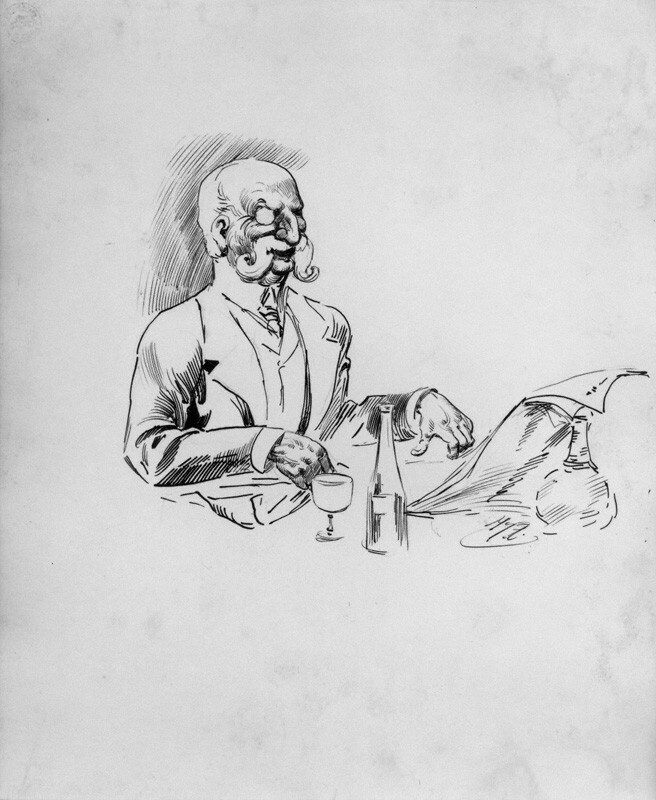 Joseph Ashby-Sterry by Harry Furniss, pen and ink, NPG 6251 (2). This sketch owned by the National Portrait Gallery in London. Used here with permission. Joseph Ashby-Sterry (1836 - 1917) was an English author and artist who wrote novels, essays, and poetry. The only other details we?ve been able to unearth about his life thus far is that he lived in London and enjoyed rowing and sailing.